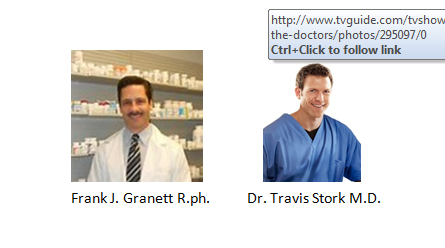 The Price of ADHD Business radio health segment interviewed Emmy-nominated doctor Travis Stork M.D. of the Emmy award winning TV talk show, The Doctors. Dr. Stork is author of The Doctor’s Diet Cookbook. Kevin Price, host of the Price of Business and I discussed with Dr. Stork the importance of diet and nutrition to achieve optimal physical as well as mental health, especially in the young child population. The Doctor’s Diet Cookbook is a collection of simple, delicious, and balanced recipes that help maintain a healthy weight. The cookbook provides vivid and detailed pictures illustrating a plan to help restore health, prevent disease and add years to your life. Encourage your children to participate in daily healthy meal planning, and help prevent the development of nutritional risk factors which may contribute to the onset of neurobehavioral conditions, including ADHD. Nutritional risk factors, as discussed in The American Epidemic: Solutions for Over-medicating Our Youth should be ruled out in young children with ADHD-like symptoms prior to premature stimulant or amphetamine drug therapy. The Action Plan will help you or a loved one win the battle against ADHD-like symptoms, and includes comprehensive assessment interventions. The action plan assessments help rule out nutritional, physiological and environmental risk factors which may contribute to the underlying cause of ADHD-like symptoms.